Cameron, Clegg, Milliband and Farage: who will win Wacky Races? Welcome to the last leg of the UK General Election Wacky Races! I am your host, commentator and reporter; Pedro Diamond. 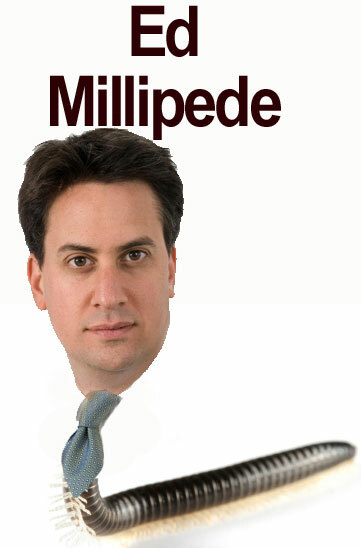 Ed Millipede: Yes Pedro; I had the wrong rubber on my brogues! The crowd were good and encouraged me so I managed to catch it before I hit the black stuff! It’s always difficult to choose the right rubber when the conditions are changeable. Dunlop have been great support, giving three different choices, but I understand David Caravan was on the hard compound on the day so he had an advantage. Lesson learned! Pedro Diamond: All contestants are neck and neck as we come to the close of this competition. 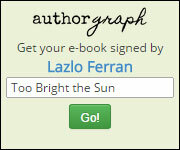 Only a few more days to go in this long-distance race. One thing that has got the crowd excited and commentators talking is the introduction of a new fuel; Liquid Intellectual Energy or LIE. Using the fuel is known as LIEING. It’s use is controversial but in a moment, you will hear the views of the four leading drivers on the new fuel. My tip for the winner? I believe it will be a photo-finish and the final result a matter of who has the deepest Political Wallet. Pedro Diamond: Nigel Mirage; the new fuel, LIE, is boosting all the competitors’ performances. We believe you are using it too. Are you? Nigel Mirage: No Pedro, we won’t be LIEING. We don’t need it! Our car is faster, stronger and more reliable than all the others. Pedro Diamond: But you have repainted your car completely white? 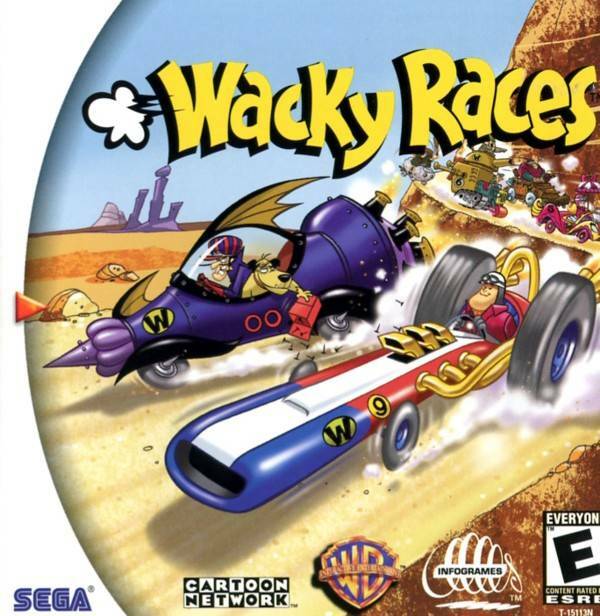 Can you explain this to the Wacky Races fans? Nigel Mirage: That’s not true. In fact, if you look under the hood, you will see that the top of each carburetor of my old Austin Mini is blue. Pedro Diamond: A car designed by an Italian. Nigel Mirage: Well yes, the Italians do some things really rather well. I am very fond of a good Chianti. Pedro Diamond: So the car colour has nothing to do with your racial views? 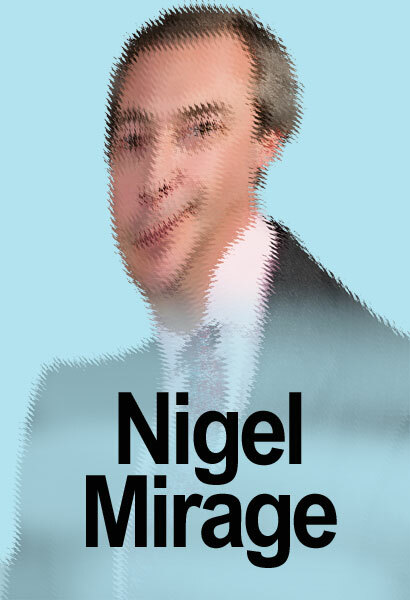 Nigel Mirage: I don’t have any racial views. I merely want to win this race and restore the country to the good ‘ol days of a Free Market Economy and Empire! Pedro Diamond: Thank you Nigel. 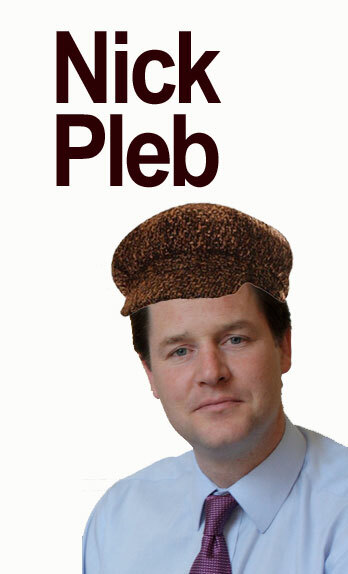 Now over to Nick Pleb. Nick, what will be your main tactic to get over the line first? Nick Pleb Red lines Pedro. I have red lines on my gauges and I will not red line my vehicle anywhere. I am a great believer in sticking within red lines. Pedro Diamond: But that’s not true, is it Nick? You have red-lined in every race so far. In the very first round, you crossed the red-line with your new Tuition Fees engine and blew up, costing you most of your fans. Pedro Diamond: Right Nick, but are you going to be LYING? Pedro Diamond: Now let’s see if we can grab a chat with David Caravan. I can see the umbrella girls are starting to leave the starting grid, including Rebekah Brooks, who is wearing a rather fetching blue bikini. Oh look; she is whispering something into David’s ear, something about the Sun newspaper, if my lip-reading is up to scratch. Better not interrupt them. She’s going now so let’s move in. David? Can I have a word? You look rather busy. David Caravan: Yeah Pedro, too many women, not enough time. Oops, should have said that with the wife around. Boris is much better at this sort of thing that me. Pedro Diamond: Can I ask you what your main tactic to win will be? 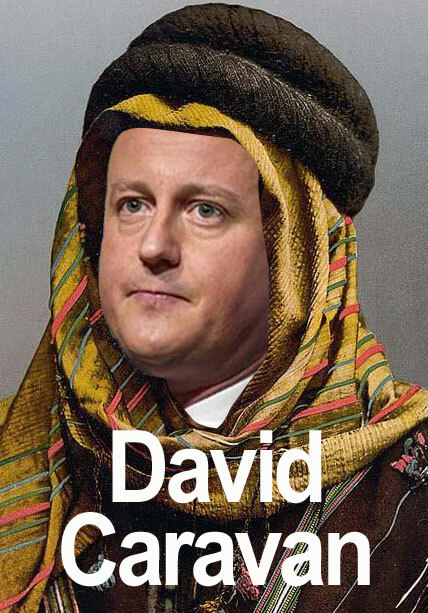 David Caravan: Well, I think I have been rather clever. George Osborne is obviously finished; the little tike has really screwed up the economy good and proper, hasn’t he? I understand he is going to start a Magic Mushroom farm in Buckinghamshire with his father’s money. Not that he needs it after siphoning off most of the Country’s! Ha! Ha! Yes, as I was saying, announcing Big Bore Boris as my successor is one of the cleverest moves of my political life. I have zero charisma compared with him but now I have harnessed his to take me back into power for another 5 years. Pedro Diamond: But wasn’t the announcement at his behest? David Caravan: Behest is an interesting choice of word. But no, I would say I have outmanoeuvred him this time. Sort of like a double-agent. Pedro Diamond: And what about LIEING? Pedro Diamond: Some would say it’s yours. Pedro Diamond: Well, I managed to pull myself away from David and we have one last grid slot to visit; pole position sitter Ed Millipede. Ed, can I have a word? Ed Millipede: Bit busy Pedro, but okay, just a few words. Pedro Diamond: So are you LIEING Ed? Ed Millipede: It’s a relief to come right out with it and say; yes, I will be LYING. We will not be playing tag with other teams, using their slipstream to win but we have bribed a judge to allow us to amalgamate out team with another during the race so that our accumulated points will make us the sure winners! Genius! Pedro Diamond: Do you care to tell us what that team is? Ed Millipede: That’s a secret, as you probably guess Pedro. Let’s just say that my teammate, Gordon Brown, wants revenge and I intend to give it to him! So the 4 competitors are under starter’s orders. And away they go! On the way-out Wacky Races!